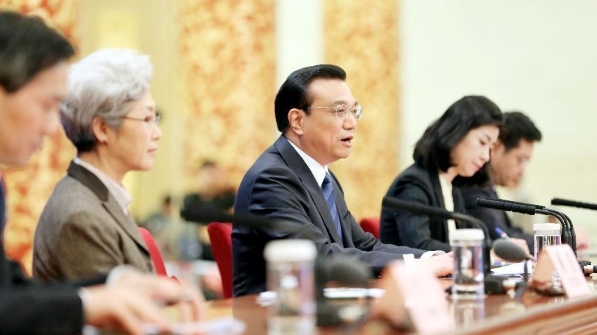 In a press conference held after the closing meeting of the second annual session of China’s 12th National People’s Congress (NPC) at the Great Hall of the People in Beijing, Chinese Premier Li Keqiang said the government is not obsessed with GDP growth targets. “We are not preoccupied with GDP growth. The growth that we want is one that brings real benefits to the people, helps raise the quality and efficiency of economic development, and contributes to energy conservation and environment protection,” Li said on Thursday morning. While the government is targeting to keep inflation at around 3.5 per cent, it has also vowed to create 10 million more urban jobs to ensure the registered urban unemployment rate does not rise above 4.6 per cent. While stressing on the “tremendous potential and resilience” of the Chinese economy, Li said on Thursday China needs growth to deliver enough urban jobs while leaving room for the six to seven million migrant workers to seek employment in cities. The Chinese Premier warned China faces many complex challenges in 2014, including enhancing the quality and efficiency of economic development, tackling pollution and saving energy. China has set a 3.9 per cent reduction target for cutting energy intensity in 2014 on top of a 3.7 per cent reduction it achieved last year, which is equivalent to cutting coal burning by 22 million tonnes, said Li. As China prepared to catch-up with the developed world and overtake the US as the world’s largest economy, environment protection suffered a severe setback, poisoning most of the country’s air, water and soil. Last week, Vice-Minister of Environmental Protection Wu Xiaoqing has rebuked a majority of Chinese cities saying that only three of 74 in a nation-wide study met national air quality standards. “To declare a war on smog doesn’t mean we are declaring a war on nature. Rather, we are going to declare a war on our own inefficient and unsustainable model of growth and way of life,” Li said in the press conference. Polluters as well as watchdogs, who turn a blind eye to polluting activities and fail to perform their duties, will be held accountable, Li warned. “So we need to strike a proper balance amidst all these goals and objectives. This is not going to be easy,” Li said. China’s economy grew 7.7 per cent last year, well above the government goal, but a set of data that pointed to softening manufacturing activity in recent months has renewed concerns on the growth outlook of the world’s second largest economy.